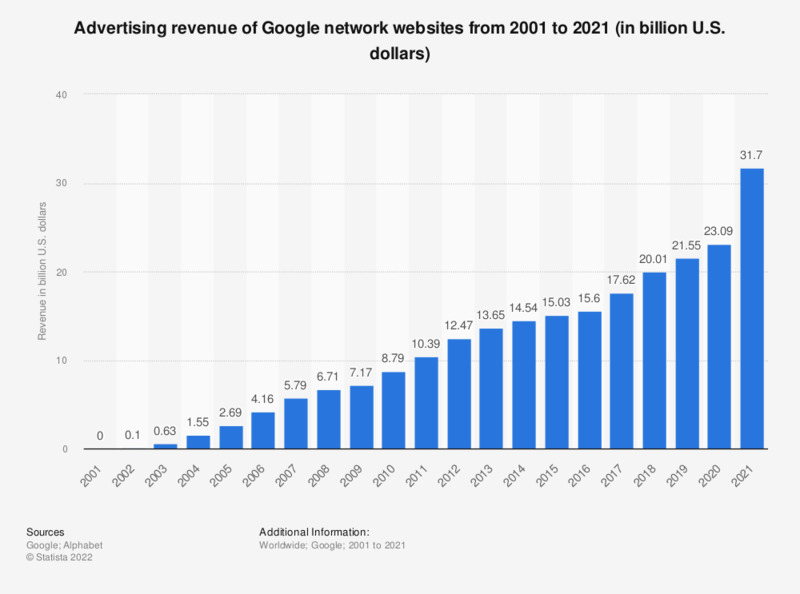 This statistic gives information on the advertising revenue of Google network websites from 2002 to 2018. As of the most recently reported period, the advertising revenue of Google network sites amounted to 19.98 billion U.S. dollars. That year, Alphabet's total Google segment revenue amounted to over 136 billion US dollars. Values regarding 2013 and onwards have been adjusted retroactively to reflect Google segment revenue of Alphabet Inc. instead of Google's total company revenue as prior to restructuring. Alphabet Inc. is an American multinational conglomerate created in 2015 as the parent company of Google and several other companies previously owned by or tied to Google.